Wednesday, April 24th 6:00pm at the Norwich Cafeteria. 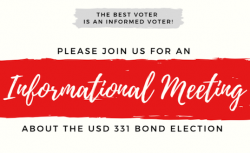 Please join us for an informational meeting about the USD 331 Bond Election! . . .
Get unlimited access to watch all your EAGLES events this year on the NFHS Network. . . . 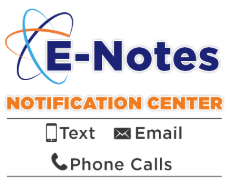 Instructions on how to subscribe to E-Notes for different classes, activities, and sports if available. . . .
Over $600,000 raised to benefit Kingman-Norwich Schools! . . . 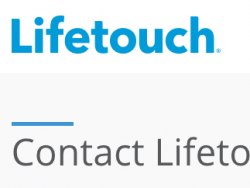 If there are ever issues with picture orders from Lifetouch, please contact them directly. FOR PORTRAITS:1-800-736-4753 FOR SPORTS:1-800-244-4373 . . .
As a community member, you are entitled and encouraged to nominate Norwich School employees, scholars, athletes, or others you feel are deserving of the honor for the Norwich School Hall of Fame. Nominations will be accepted through May 1st. All nominations received after that date will be held until the next year. 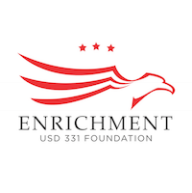 Nominee’s Resume (i.e., records, awards, achievements) Copies of clippings, etc., are needed if available and information on contributions in the following categories: Norwich, State, National, College, Professional, and achievements after school and/or college. Print out a Norwich HoF Nomination Form. View the Norwich HoF Bylaws.